This Treasure Island essay, of course, can help you to come up with your own ideas for writing. Treasure Island by R.L. Stevenson is a adventure novel. The plot of the novel is filled with a lot of adventures and unusual events, in which the characters once in a time threatened with death, but unexpectedly, a miraculous salvation comes. The events of R. Stevenson’s novel Treasure Island are connected with the map of the legendary Captain Flint, who owned countless riches. Billy Bones was a navigator for Captain Flint on his ship “Walrus,” when Flint hid his gold on one of the islands. After the death of Billy Bones, Flint’s map falls into the hands of young Jim Hawkins. There is one circumstance that proves the high moral qualities of Jim Hawkins, he saved the life of John Silver. 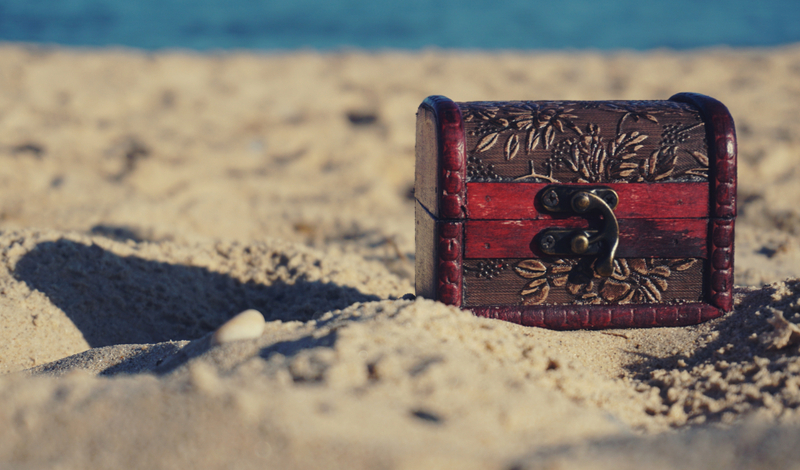 For Jim Hawkins, his journey to Treasure Island was not an attempt to get rich. He wanted to test his strengths, to prove to himself that human relations are not measured by gold. He came out of all trials with honor. You can pass your writing process easier if you read through our Treasure Island essay. How easily can you identify with Jim’s feelings? Do you think this portrayal of a young boy seems dated, or does it stand the test of time? In his well-known all over the globe work “Treasure Island” Robert Louis Stevenson portrays the narrative of an uninhabited island where the hidden treasure quest happens to take place. By telling the story from the point of view of the main character, who is Jim Hawkins, the author lets the reader be able to associate with Jim’s world, where in fact the event of the story happen. Jim Hawkins might as well represent the author’s way of describing the positive protagonist; whose conducted behavior manages to trigger the events of the narrative. This way, Jim serves as an influential factor in the story’s evolvement. Jim himself, who in fact is still a teenager, he experiences the friendship and betrayal, he untangles the riddles and solves mysteries, he kills people, steals ships, and becomes the key of the story’s resolution, the friendship of its other characters. Be that as it may, Jim Hawking leads the reader into the conundrums of the narrative, in the same way, letting one associate with the feelings of the protagonist and the author. This way, identifying Jim’s feelings becomes as easy as communication with Robert Louis Stevenson, the author himself, who in fact portrays a super-temporal manifestation of the protagonist with whom any reader from any epoch can find an easy way of identifying with. All in all, by returning to the story, there is a need to underline the facts of Jim Hawkins’ experience in order to identify the way of reader’s assimilation into the characters way of living. It is a fact, the most for a reason for Jim’s behavior, his actions were becoming the ruling factor of the matter of anything happening in the story. Indeed, only when the readers see that the protagonist is about to make something up, as a plan of a course of actions that constitute certain strategy, it becomes possible to claim that the reader is ready for the fact of something happening, such as a great turn of events which will be triggered by the radical actions of the main character Jim. In spite of Jim being only a teenager, he becomes the crucial matter of the narrative’s mood, its content, atmosphere and the according setup of the reader’s perception. For this reason, it does not happen to be a surprise, that Jim becomes the center of everyone attention almost always, to be more precise when the story is not being narrated regarding the general condition that the characters find themselves at the certain periods of times. It appears to be important to underline, that Jim, initially did not “step into” the story as the main protagonist, only by a mere chance he becomes entangled into the whirlpool of events. It is always his qualities that make him so interesting to observe and manage to understand the apparent and inevitable identification with him as the main protagonist Jim Hawkins. Indeed, Jim participates in the events by changing their course (Stevenson). Among many other characters of “Treasure Island,” Jim becomes the key to all story and accordingly the realization of what the events meant for him, for the author and the reader what is more important. This way, the inner emotional and psychological struggles of Jim occur to be evident for the reader, as they, in turn, manage to influence the course of actions that he is taking and reflect the meaning of those acts to everyone else. All in all, it happens to be quite important to note that the understanding of this protagonist does not make Jim one certain period of time hero. In fact, by looking closer at what is happening with Jim, how he predetermines the whole situation, even unknowingly or maybe even unintentionally, concentrating through the writers eyes the course of the narrative in one single spot, through which the passages of evolving parts of the story come to diverge in many different directions (Hochman). The directions in which the story is evolving, they come up to be evident at one certain point, which in turn is being represented in all parts of the story, including the beginning, the evolving of the plot, the culmination and the end of course. This way, Jim Hawkins in certain terms also represents a unique character who in certain terms also becomes to be understood as the universal one. For this reason, it occurs to be important to underline the fact that in spite of the uniqueness of the situation that Jim Hawkins, the author, and the reader happen to find themselves in, due to the fact of identification of these three separate individuals, the importance of the Jim’s character becomes to be universal, as he represents the universal hero. Indeed, as Jim Hawkins happens to be the universal character, this first of all means that because of his qualities, his inherent nature, his temper and attitude, his perception of the situation, the manner of building up his own experience, he might as well be perceived as the “hero of our time”, Jim Hawkins is the hero of our time first of all means that such a character could exist at any time, future or past, as this type of character would fit into any circumstances of any epoch. For this reason, it becomes to be apparent that Jim Hawkins is a universal character, and this way, he also manages to constitute the supratemporal personage, in the image of whom, Robert Louis Stevenson might have as well manages to embody the general type of protagonists who might as well constitute a form of imitation for the forthcoming auteurs not only in the area of literature but in the area of the arts and creativity where artists work in order to create something unique and universal at the same time. Accordingly, in order to sum up, it would be reasonable to underline the fact that in spite of the uniqueness of the adventure story, there is a certain matter that makes it relevant at all times. This way, the characters appear to be supratemporal as well, as not their fate and experiences, but their qualities, backgrounds, the perception of them as personalities occur to be relevant to any person at any time. Analogically, the main protagonist, Jim Hawkins, who as it might as well be possible to say, represents the whole story itself, its plot, its narrative, the crucial events, everything that takes place in and out of the narrative is somehow connected and represented by the author to the reader through Jim Hawkins. Hochman, Baruch. Character In Literature. Ithaca, N.Y.: Cornell University Press, 1985. Print. Stevenson, Robert Louis. Familiar Studies Of Men And Books. Read Books Ltd., 2015. Print. Stevenson, Robert Louis, John Escott, and Ian Miller. Treasure Island. Oxford: Oxford University Press, 2008. Print.